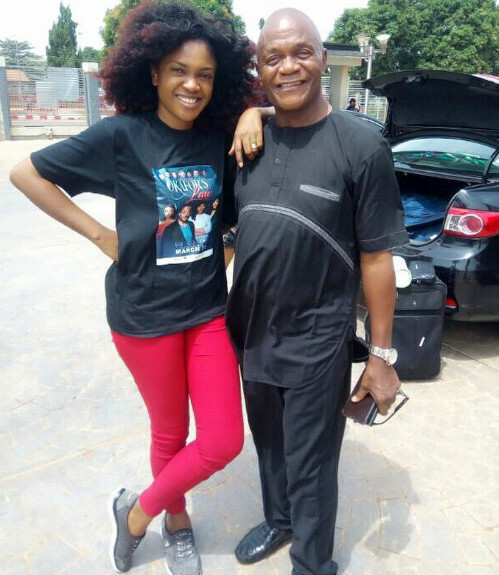 It has been three months since Nollywood actress and producer Omoni Oboli lost her dad in a fatal car accident. Today, the mum of 3 lays her father to rest and she couldn’t help but write an emotional message in his honour. In the early hours of the morning, Omoni took to Instagram to share her gratitude to her father who she says played a huge part in her success story. My father my biggest fan ??? I will always be my daddy’s girl. Ever since I was a little girl, my daddy always made me feel special. He always told me how much he loved me and how proud he was of me. He wasn’t always there but I always looked forward to his coming. People say I walk into a room and I bring sunshine…I say I got it from my dad. The life of the party! Little wonder he was nicknamed MOBILITY! My biggest reward for all my hustle is that I made you proud. Thanks for always organizing my Asaba shoots, premieres and meet and greet. You called countless times before every movie release to plan with me and for me. All the road shows you organized, all the flyers you personally shared and everyone you proudly told your daughter was releasing a new film. Many times I was a little embarrassed with how you sang my praises to friends and colleagues. Looking back, I’m glad I allowed you…it gave you much joy. I’m glad you lived to see me excel. Thanks for being a huge part of my success story. I promise you this, that I have only just began. You will look down from heaven in amazement! Your death will not slow me down, it will propel me to greater heights. Ain’t no stopping this daughter of yours…but you already know that! A fan sent me a message the other day asking me who will answer them on my Facebook fan page now that you are gone. I remember with fondness how when I have time to check my Facebook page, I will see you’ve already been there…answering fans, chatting with them and telling them we love them. Watch me soar world! My mom and dad are in heaven and they are cheering me on! Rest In Peace Mobility! The Efedede 1 of Mosogar Kingdom. I love you forever. As I lay you down to rest today daddy… My father my biggest fan ??? I will always be my daddy’s girl. Ever since I was a little girl, my daddy always made me feel special. He always told me how much he loved me and how proud he was of me. He wasn’t always there but I always looked forward to his coming. People say I walk into a room and I bring sunshine…I say I got it from my dad. The life of the party! Little wonder he was nicknamed MOBILITY! My biggest reward for all my hustle is that I made you proud. Thanks for always organizing my Asaba shoots, premieres and meet and greet. You called countless times before every movie release to plan with me and for me. All the road shows you organized, all the flyers you personally shared and everyone you proudly told your daughter was releasing a new film. Many times I was a little embarrassed with how you sang my praises to friends and colleagues. Looking back, I’m glad I allowed you…it gave you much joy. I’m glad you lived to see me excel. Thanks for being a huge part of my success story. I promise you this, that I have only just began. You will look down from heaven in amazement! Your death will not slow me down, it will propel me to greater heights. Ain’t no stopping this daughter of yours…but you already know that! I know you are right now organizing an official Omoni Oboli fan club ‘heaven chapter’ A fan sent me a message the other day asking me who will answer them on my Facebook fan page now that you are gone. I remember with fondness how when I have time to check my Facebook page, I will see you’ve already been there…answering fans, chatting with them and telling them we love them. Watch me soar world! My mom and dad are in heaven and they are cheering me on! Rest In Peace Mobility! The Efedede 1 of Mosogar Kingdom. I love you forever. May the soul of the departed rest in peace. I can relate and it brought back memories of my father. Be strong it shall be well. I thought it was recent na, no? your father dies and you take to instagram????…. 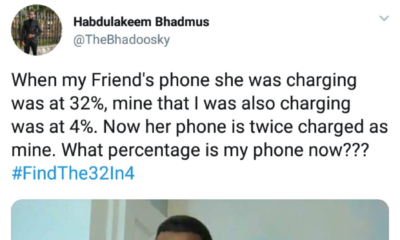 smh! This new social media age is doing the MOST! And every anniversary of his death, I put up something on Instagram cos for some reason, I’m always feeling sick and extremely weak throughout the week and posting tributes makes me feel like I’m honoring him. The reason for my long story, her dad is being buried, let her grieve the way she wants. The pain of loosing a parent is one that never goes away, cut her some slack.